My wife and I took a long-overdue vacation last month. We visited London, Bath, Oxford, and Greenwich. 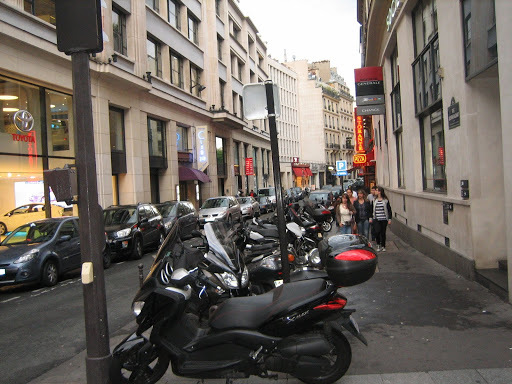 Then we took the bullet train under the Channel and spent the last few days in Paris. 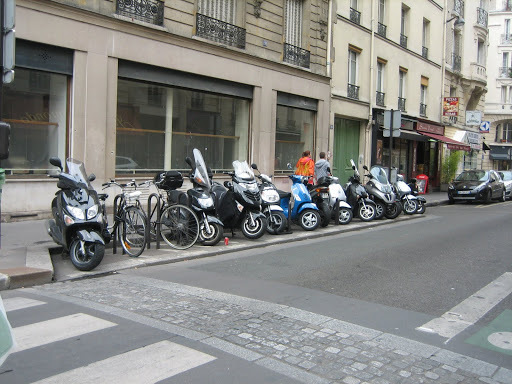 There were quite a few scooters in England, but nothing like there were in Paris, where they were virtually everywhere. It seemed like there was at least one within eye- or ear-shot everywhere I turned. At night I fell asleep counting the sounds of scoots that ran under our window into the late hours. 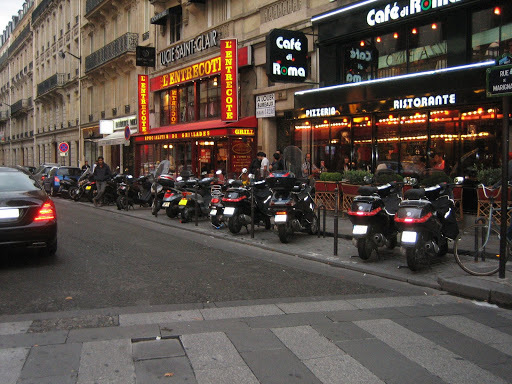 Many side streets were jammed with parked scooters. Above, down near the end of this relatively small group of scooters, are two Piaggio MP3s which seem to be very popular here.